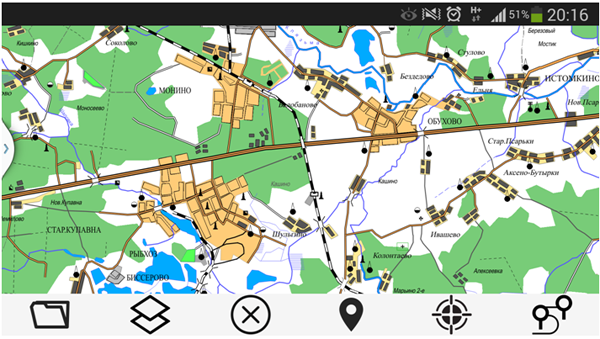 The program for navigation by digital maps of the GIS "Panorama" format on mobile devices based on Android. 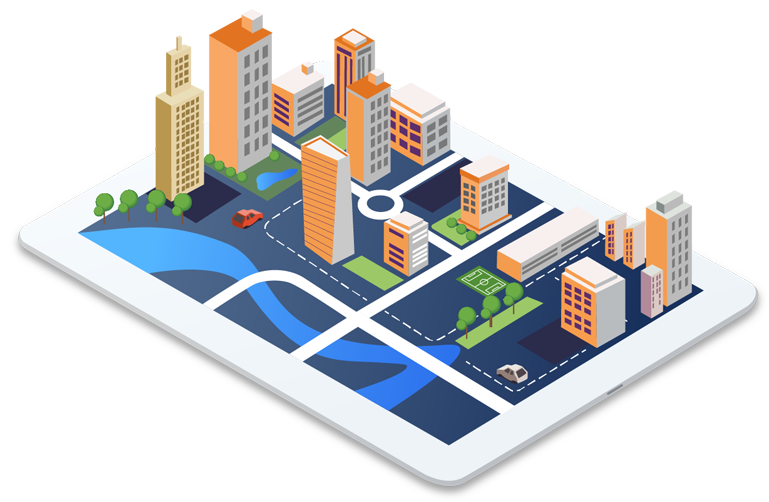 The program allows you to open vector, matrix, raster maps and maps projects, to combine the contents of displayed data, to obtain geometric and semantic information about map objects, to process information from the embedded GPS/GLONASS receiver, to record the trajectory of motion. To install the application you need to download the file panorama-mini.apk to mobile device and select this file in the file manager for its automatic installation. For this purpose connect the device to the desktop computer and by means of the file manager copy the file onto the mobile device. The result of copying is shown in figure 1. 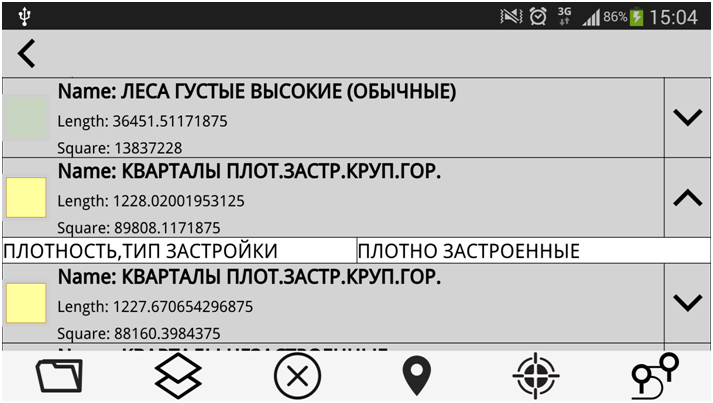 Preliminarily it is necessary to allow on the device the installation of applications from unknown sources by specifying the menu item "Settings" - "Options" - "Security" - "Device Administration" - "Unknown sources". The result of the given operation is shown in the Figure 2. 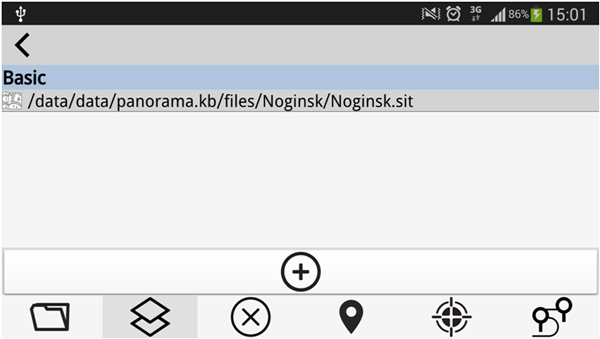 To install the GIS "Panorama Mini for Android OS", you must select the copied package in the file manager on the device (see Figure 3). To remove the GIS "Panorama Mini for Android OS", you need to find the appropriate item by the name in the menu "Settings" - "Options" - "Application manager". The result of this operation is shown in Figure 4. Figure 4 - GIS "Panorama Mini for Android OS" in the menu "Application manager"
Immediate removal is carried out by means of "Remove" button of the "Application Information" menu. To start the program, select the "panorama-mini" in the "Applications" menu. To terminate the program, you must click "Stop" in the menu "Settings" - "Options" - "Application Manager" (see Figure 4). 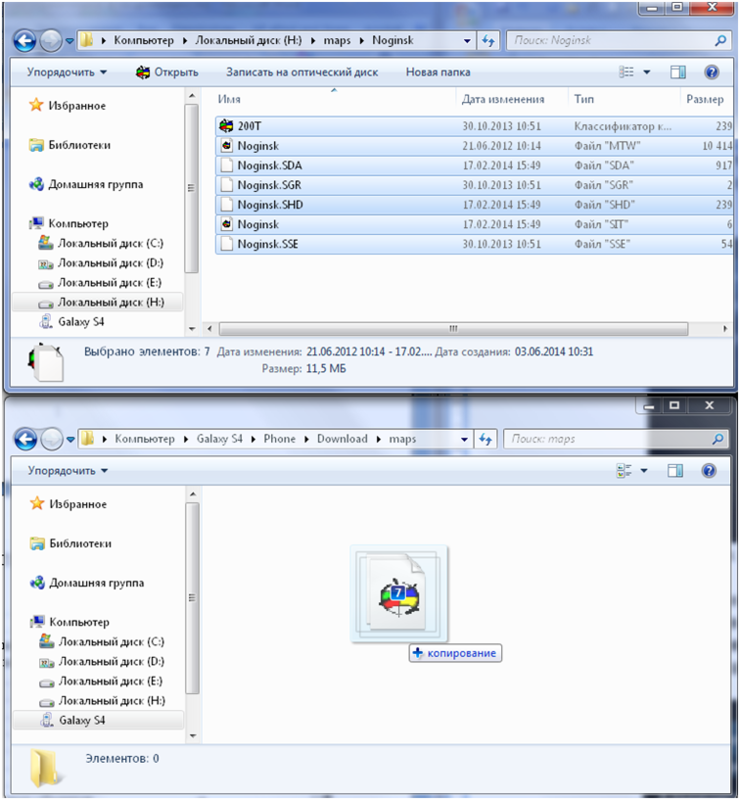 For loading digital maps it is necessary to connect the device to the computer and in any file browser (for example, "Conductor") to transfer necessary files onto the device. 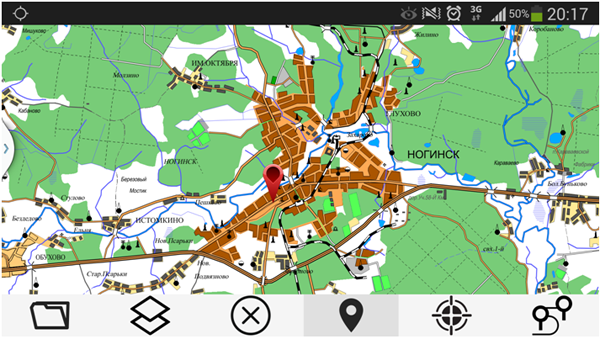 In figure 5 the example of loading a vector map of Noginsk is shown. 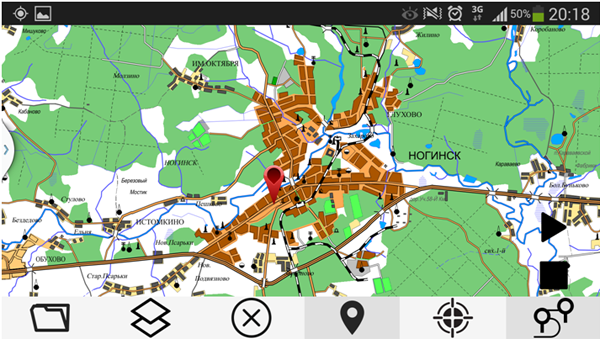 At the first starting the program the map of Moscow Region will be automatically opened (see Figure 6). Figure 7 - View of button "Open map"
To close the map, click the button "Close map and all data" (see Figure 8). Figure 8 - View of button "Close map and all data"
To change the contents of displayed data, you must click the "Data list of maps" button on the toolbar (see Figure 9). Arising dialog is shown in Figure 10. Figure 9 - General view of the button "Data list of maps"
Figure 10 - View of the dialog "Data list of maps"
Using the "Data list of maps" dialog, the operator can add an arbitrary set of maps to the basic map (opened by the first), which will be displayed layer-by-layer. Each of the maps, except the basic one, can be excluded from the displayed data using the "Data list of maps" dialog. For scaling and moving of data there are used standard for touchscreens the two-point and one-point touchpoints. information about semantics (in the form of a drop-down list). To enable the displaying the location on the map according to GPS/GLONASS-receiver data, click the "Display current position" button (see Figure 12). Figure 12 - General view of the button "Display current position"
After that, on the map a marker will appear, the position of which will be updated when new coordinates are received from the GPS/GLONASS receiver (see Figure 13). In order that the center of the map automatically would move to the point with the coordinates received from the GPS/GLONASS receiver, it is necessary to press the button "Holding the current position" (see Figure 14). Figure 14 - General view of the button "Holding the current position"
To start recording a track, click the "Record track" button on the toolbar and click the "Start" button in the drop-down menu (see Figure 15). After that, a dialog will appear on the map for selecting the trace file name. 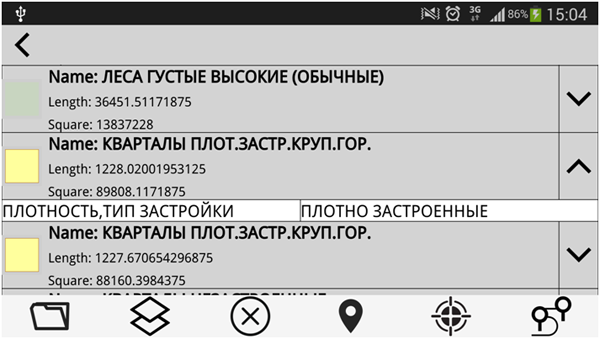 The coordinates obtained from the GPS/GLONASS receiver are recorded on the user map (sit format). By means of buttons "Start", "Pause", "Continue" and "Stop", the current track recording status is controlled (see Figure 16).